This article argues for a criticalcriminology that is more mindful of the growing number ofcritiques of its general epistemologicaldirection. Specifically, such criticismtakes issue with the continued emphasis incritical criminology on crime and penalty,often to the detriment of a moreencompassing focus on issues associatedwith ``social harm''. In an attempt tohighlight the current weaknesses ofcritical criminology attention is drawn toa small although revealing conference thattook place at the University of WesternSydney in February 2001. 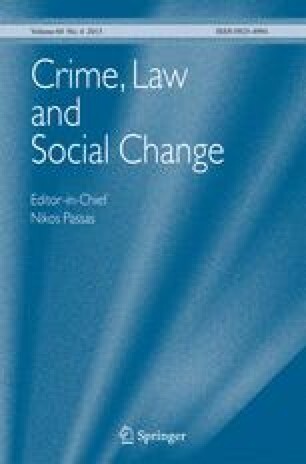 In contrast to thenarrow concerns demonstrated at thisconference the article calls for a moreexpansive approach to the study of crimeand penalty that falls under thezemiological umbrella of social harm andwhich takes account of social movements andother disciplines that have givenrecognition to the question of humanrights. Such a call derives from StanCohen's evocation of the ``voracious Gods''that must be sated if a progressive andrelevant critical criminology is to bedeveloped in an era of rapid socio-economicand political transformation.